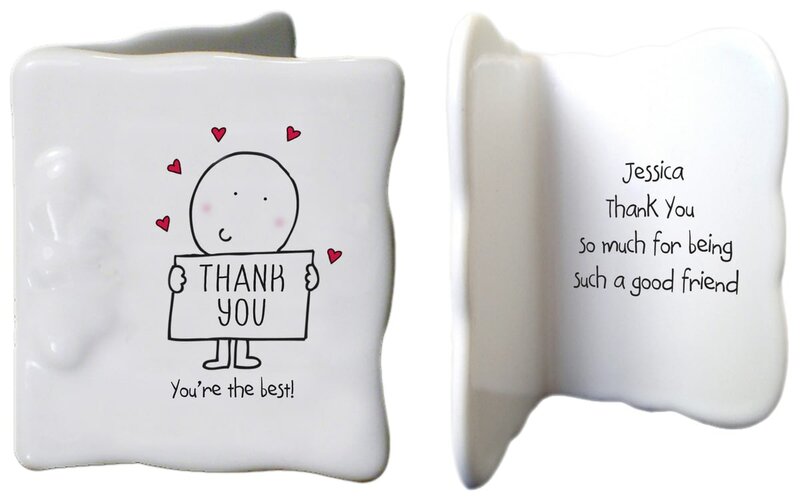 Surrounded by hearts and holding his thank you sign, this Chilli and Bubbles character has been printed directly onto this delicate china card. Designed to be cherished not recycled this card will show them how grateful you really are. Say a big thank you with Chilli and Bubbles. Our cheeky chappie is holding a special thank you sign especially for the recipient of this champagne flute.